Business Finance answers these questions. Although, these are not the only questions, but they are among the most important. Business finance, broadly speaking, is the study of ways to answer these three questions. What long-term investments should you take on? That is, what lines of business will you be in and what sorts of buildings, machinery, and equipment will you need? Where will you get the long-term financing to pay for your investment? Will you bring in other owners or will you borrow the money? How will you manage your everyday financial activities such as collecting from customers and paying suppliers? It is a term that encompasses a wide range of activities and disciplines revolving around the management of money and other valuable assets. Business finance programs in universities familiarize students with accounting methodologies, investing strategies and effective debt management. Small business owners must have a solid understanding of the principles of finance to keep their companies profitable. Financing, simply put, is the act of bringing money into an organization. Businesses can be financed in a number of ways, each of which features its own advantages, disadvantages and unique features. Common methods of financing a business include taking on debt and taking advantage of credit arrangements, financing through equity investment or earning income through investment products that bear interest or increase in value. This terminology refers to the efficient and effective management of money (funds) in such a manner as to accomplish the objectives of the organization. It is the specialized function directly associated with the top management. The process of planning and managing a firm’s long-term investments is called capital budgeting. In capital budgeting, the financial manager tries to identify investment opportunities that are worth more to the firm than they cost to acquire. Loosely speaking, this means that the value of the cash flow generated by an asset exceeds the cost of that asset. Regardless of the specific investment under consideration, financial managers must be concerned with how much cash they expect to receive, when they expect to receive it, and how likely they are to receive it. Evaluating the size, timing, and risk of future cash flows is the essence of capital budgeting. In fact, whenever we evaluate a business decision, the size, timing, and risk of the cash flows will be, by far, the most important things we will consider. A firm’s capital structure (or financial structure) refers to the specific mixture of long-term debt and equity the firm uses to finance its operations. The financial manager has two concerns in this area. First: How much should the firm borrow? Second: What are the least expensive sources of funds for the firm? In addition to deciding on the financing mix, the financial manager has to decide exactly how and where to raise the money. The expenses associated with raising long-term financing can be considerable, so different possibilities must be carefully evaluated. Also, businesses borrow money from a variety of lenders in a number of different ways. Choosing among lenders and among loan types is another job handled by the financial manager. The term working capital refers to a firm’s short-term assets, such as inventory, and its short-term liabilities, such as money owed to suppliers. Managing the firm’s working capital is a day-to-day activity that ensures the firm has sufficient resources to continue its operations and avoid costly interruptions. This involves a number of activities related to the firm’s receipt and disbursement of cash. Some questions about working capital that must be answered are the following: (1) How much cash and inventory should we keep on hand? (2) Should we sell on credit to our customers? (3) How will we obtain any needed short-term financing? If we borrow in the short term, how and where should we do it? This is just a small sample of the issues that arise in managing a firm’s working capital. Profit maximization would probably be the most commonly cited business goal, but this is not a very precise objective. Do we mean profits this year? If so, then actions such as deferring maintenance, letting inventories run down, and other short-run, cost-cutting measures will tend to increase profits now, but these activities aren’t necessarily desirable. The goal of maximizing profits may refer to some sort of “long-run” or “average” profits, but it’s unclear exactly what this means. First, do we mean something like accounting net income or earnings per share? As we will see, these numbers may have little to do with what is good or bad for the firm. Second, what do we mean by the long run? As a famous economist once remarked, in the long run, we’re all dead! More to the point, this goal doesn’t tell us the appropriate trade-off between current and future profits. The goal of maximizing the value of the stock avoids the problems associated with thedifferent goals we discussed above. There is no ambiguity in the criterion, and there is noshort-run versus long-run issue. We explicitly mean that our goal is to maximize the currentstock value. Of course, maximizing stock value is the same thing as maximizing themarket price per share. With this goal in mind, it doesn’t matter whether the business is a proprietorship,a partnership, or a corporation. 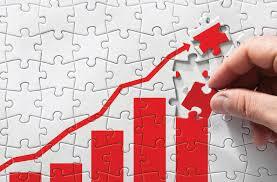 For each of these, good financial decisions increase themarket value of the owners’ equity and poor financial decisions decrease it.Finally, our goal does not imply that the financial manager should take illegal or unethicalactions in the hope of increasing the value of the equity in the firm. What we meanis that the financial manager best serves the owners of the business by identifying goodsand services that add value to the firm because they are desired and valued in the free marketplace.Our nearby Reality Bytes box discusses some recent ethical issues and problemsfaced by well-known corporations.